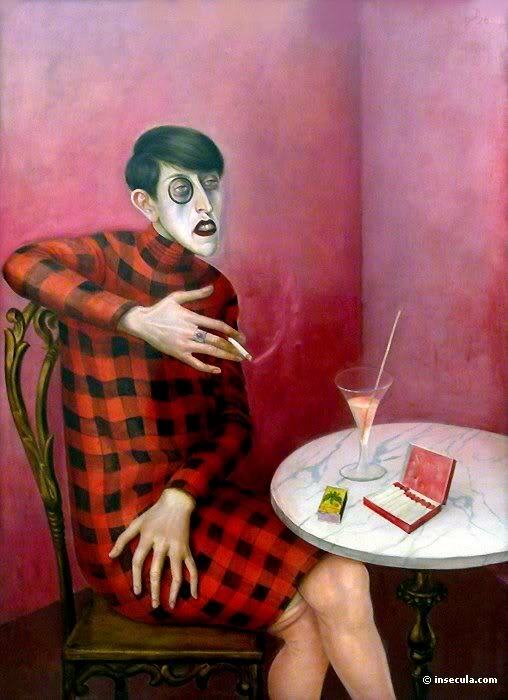 "Portrait of the Journalist Sylvia Von Harden"
A prototypical Neue Sachlichkeit portrait by German painter Otto Dix (1891-1969) depicting the journalist Sylvia von Harden, a habitue of Berlin's famed Romanisches Cafe. Dix's critical realism verges on a caricature of the Neue Frau in the Weimar Era, while his style of oil painting and attention to physical details serve to heighten the character's individuality in this fascinating image. The Inspiration, Beauty and Invention of people, places and things across Time. Summer Roams+Reads=flower girls, gypsies, head busters and beatniks. | The Jade Dress.